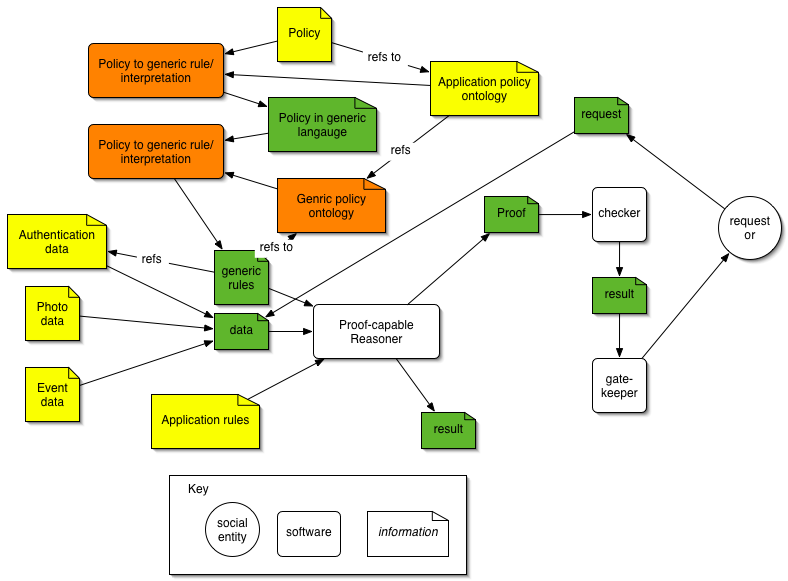 A collaboration between MINDSWAP and DIG to work toward Creating the Policy-Aware Web: Discretionary, Rules-based Access for the World Wide Web , funded under NSF ITR 04-012 . Those interested in this project should also be aware of the Transparent Accountable Datamining Initiative (TAMI). Screenshots and a walkthrough of the proof-of-concept implementation. See also: cwm-dev plans, including every-other-week cwm-dev/paw meetings. An architecture diagram from our Feb 2005 meeting. Try FilmTrust, a nearby project. paw team: see dev notes to get started working in this space. site admin notes are also available.